How smart are we? Well, we have surely become very smart with smart phones, smart homes followed by driverless cars. Technology is at the peak of its triumph. The question is have we become that smart? US has adopted the concept of smart homes right from the 1980’s and a survey and report by a market intelligence agency based in New York remarked that in US 1.5 million smart homes were installed and the number was estimated to touch a whooping 8 million by the turn of 2017. We can’t brag of such numbers of smart homes in India yet but the vendors and suppliers of smart home equipment opine that that the concept of smart homes is gaining ground and is expected to grow at a compound annual growth rate of 29.5 percent between the years 2013 to 2020. According to the observers this can be attributed to rising energy costs and the government initiatives. Smart homes can really enhance the security and comfort quotient of the house and make life simpler. 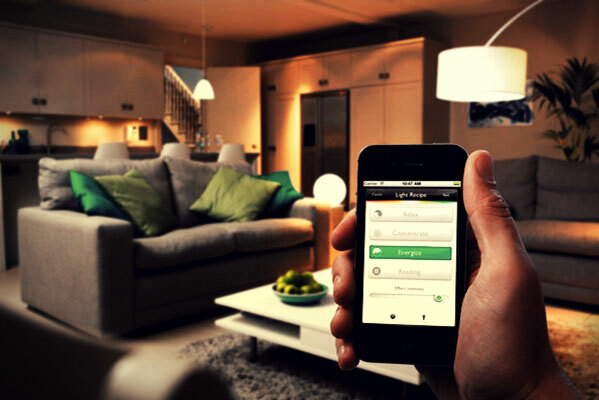 Smart homes reduce the carbon footprints of a home and make it more environment friendly. We explore the numerous ways in which a smart home can improve the quality of life and the living conditions. Installed smart cards can help the opening and closing of doors and drawing of curtains as well which can also be operated with the help of internet or through WAP installed in a mobile phone or a tablet. In smart homes doors can unlock when one approaches towards the door or lock the house after one leaves it which can also be operated through a remote control device. Lighting system can be controlled without a manned operation or according to the time of the day by brightening it or dimming it at particular times of the day. The lights can switch on and off automatically as one steps in or steps out. The motion sensors can even facilitate pre-configuration of the settings of light to suit your varied moods. The ambience of the home can be set according to one’s preferences which allow inhabitants of the home to create their own scenarios like a cinema or an environment of subdued lighting with automatic closing of curtains and adjustment of thermostat. The experts feel that smart home dwellers can fix the lighting according to their imagination which seems to be a limiting factor in using these gadgets. Furthermore operate the HVAC systems based on the remote activation through one’s mobile phone. Coffee machines can be instructed to work at scheduled times of the day and washing machines can be preset to work during off peak hours. The beauty of smart homes, opines experts, is the functionality through multiple interconnected devices. The key of smart home becoming a success is the interoperability between devices and a suitable and effective integration point which can become a supporting fulcrum for operating various home appliances. This technology which ensures the machine to machine communication and transfer as required ensures the right usage of energy and stop the usage when not required or when one leaves the location. This functionality is something that saves the energy bills as there is an intelligence system that allows the residents of the home to customize one’s lifestyle by controlling one’s television, the fan or the air-conditioning system or even the Wi-Fi system, just at the touch of a single button. Home alerts can be set which can intimate the security systems based on violations of locking and unlocking the doors as they are all automatic. Fully equipped with cameras, alarms and sensors the smart home is almost inviolable. A siren can be easily set to trigger in case of unwanted entry or trespassing. The alarms can also be set for unexpected opening or closing of doors and windows. These shouldn’t create any problems as smart homes can be remotely controlled, observed and monitored and thus can be cross checked with other family members too. The demand for smart homes have been noticed in the metros like Delhi, Mumbai, Kolkata, Bengaluru, Chennai and Pune and few of the tier II cities that are emerging now. This is of course noted in the select stratum of the society. In Delhi and the NCR there is a mixed reaction in adopting the smart home with both demand and a resistance owing to a predominance of the elder generation compared to other metros. This is what is responsible for slow adaptation of smart home technology in Delhi-NCR. In the Southern Mumbai and Western Suburbs the demand is high whereas in the central and the harbour suburbs the demand shifts from moderate to low. This is owing to the real estate price difference between Southern Mumbai and other Suburbs which creates this variance in demand of smart housing. The demand of smart homes in Bengaluru is quite high owing to the fairly young population of the city who is technology-savvy and is rich enough too. The demand of smart homes is slowly catching up in Kolkata as well with the increasing demand of housing compared to other cities. The real estate market is burgeoning with promising developments and improvisation of state-of-the-art technologies at homes. Pune, the technology capital of Maharashtra has young property buyers who are tech-savvy and thus the city has high demand of smart homes and smart housing. Chennai is slow to respond for the demand of smart homes and the idea of smart housing is a niche concept in Chennai. What impedes the demand for smart housing? The starting price of fully loaded equipment with smart home appliances will be around Rs. 2 crores which is the most predominant retarding factor for the concept to catch up. The vendors opine that the buyers are given different options of technology to be installed at different price brackets. In Delhi the average per sq. ft. cost of a smart home will range from Rs. 8, 000 to Rs. 20, 000 and that in Bengaluru, it will be from Rs. 8, 000 to Rs. 22, 000. In Pune this will vary from Rs. 9, 000 to Rs. Rs. 18, 000 and in Kolkata it’s reported to be the lowest from Rs. 3, 500 to Rs. 8, 000. This data clearly indicates that smart homes can be availed by the privileged class unless government backs its use by providing few subsidies and helps in affordability. 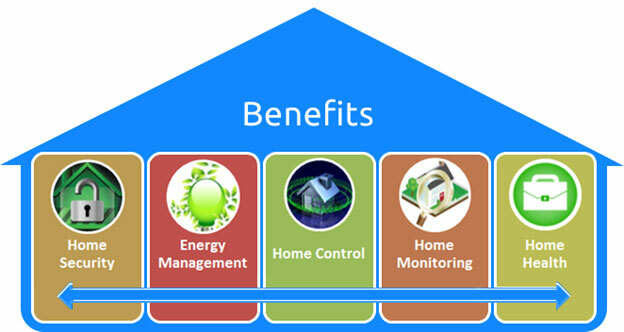 Even then the experts in this field opine that usage of smart homes are on the rise in India with the increased energy costs and improvement in internet connectivity smart homes are increasingly viewed as a means of energy saving rather than an unnecessary luxury. 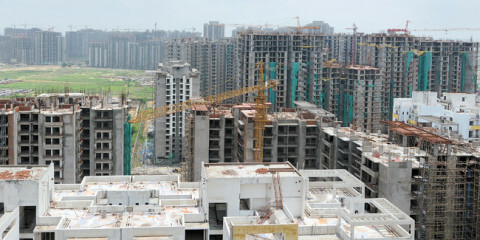 Check more interesting and useful article on Property scam and give your valuable comments. There was the time where people are thinking about to live in luxurious, safety homes, but now people are wanting to live in luxurious homes along with smart advanced technology adopted homes. That’s why many well reputed builders already constructed the smart homes and selling for very high price. 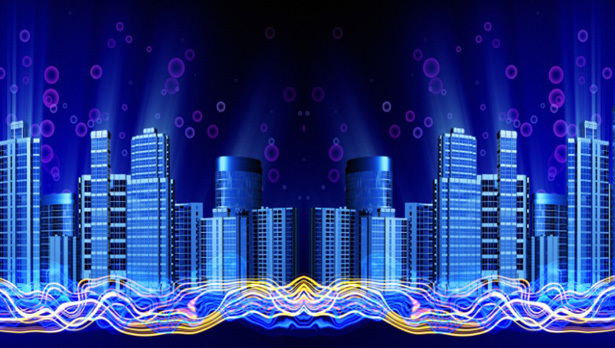 Now the entire world and India also thinking about the smart cities and smart-homes to build. 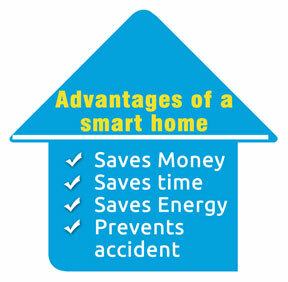 The smart homes are echo friendly and energy saving homes. 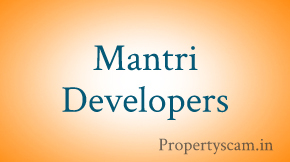 As per current market status and due to the cost effect only few well-known builders only constructing these homes. That’s why common man have to wait for few more days. Smart homes are the gift of rapid development in technology. In realty market there is huge demand for these Smart homes because there are several advantages like energy saving and its complete automation with the artificial intelligence technology etc. Smart homes are the gift of the spontaneous changes in technology. These smart homes more demanded than the supply because there is only few builders are constructing Smart homes. Due to the cost effective middle class people have to wait for a few more days to get these homes. By seeing this article we can found that how the life style changed from day one to now. 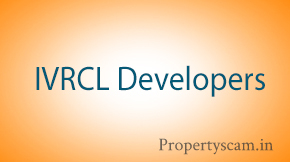 How the technology is going on in every field including in real estate. The concept of smart homes is growing no step by step. definitely in coming future many people live in smart homes only. If is there is any builder which offers smart homes for reasonable rates please share here it will helps to many dreamers. The smart homes are very demanding homes, but the price is very high due to the installation of advanced technologies. These homes are not for middle class people because it costs more than the luxury homes. But these smart homes have more benefits like saves the energy, intelligence system to control the television, the fan and air-conditioning system etc. the smart homes are very useful and secure. Nowadays the Smart technology are getting updating in all sectors. including real estate also there are some builders are attracting customers building smart homes, but most customers are preparing to go the luxury homes instead of these smart homes because it is very high cost compare to the Luxury homes. If the builders provide these smart homes at reasonable, then all customers will prepare this smart homes. Now it’s turn for Smart homes because the rapid development in technology. These homes are more secure and safety while compared to the luxury homes. Even cost also quite high. The Smart homes are gift of the rapid dishevelment in technology. These Smart homes have lots of advantages like more secure and energy saving. But only the drawback is that, These costs more compare to the other luxurious houses. My dream is to live in smart home in Bangalore but the cost of the smart home is very expensive which I visited till now four to five builder in this city. I came to know few builders are having in Bangalore who are constructing smart homes and selling at same price like luxury apartments, if its correct means I will surely visit their office and invest my money to book my dream home. If anybody know such type of builder means kindly share it please. I feel smart homes are very expensive compare to luxury homes especially in Bangalore and think it consumes more power and cost effective. The smart home features are good but if they include those smart home features in the luxury or affordable homes means customers can save few money and there may chances for the builders to exceed their business. Very few smart homes were locates in Bangalore because it worth is more and no one like to buy those smart homes. Instead of smart homes people likes to go for the luxury home in which same facility will be available at normal range with all the latest amenities. Few of the builders are constructing homes like smart homes with the same features and selling at low margin because they want to support middle class people to have their dream into reality. Yes, now days in the smartest cities very much effective and facilities are occurred. The real-tors are constructing the buildings with latest features like: Remote locking and unlocking doors, remote controlling lights system, monitors system and many more. These technologies are demanding more by the young population of the smartest cities..